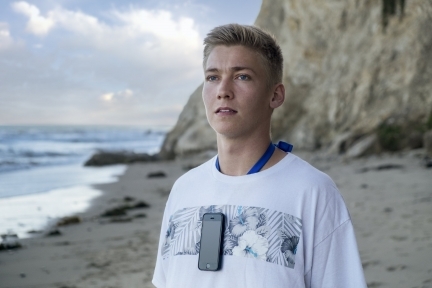 Wear around your neck and connect your phone for hands free recording. Rotate for landscape. The uCast comes with a thin adhesive plate that attaches to the inside of your phone case and will stick to the uCast pendant. No need for a tripod - carry the uCast and mount to everything around you. Magnets only affect devices that use magnetic storage media, like hard drives or floppy disks or devices with CRT displays. The iPhone and iPad use flash memory and an LCD display, which are not affected by magnetic fields. 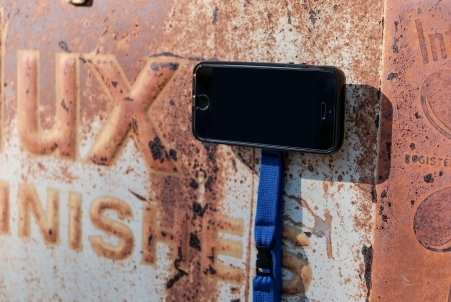 Mount your phone to the metal around you for stationary video. No metal? No problem. Use the buckle and strap to fasten the uCast around the object.